In 2022, an EMP detonation has caused a global blackout that has massive, destructive implications all over the world. 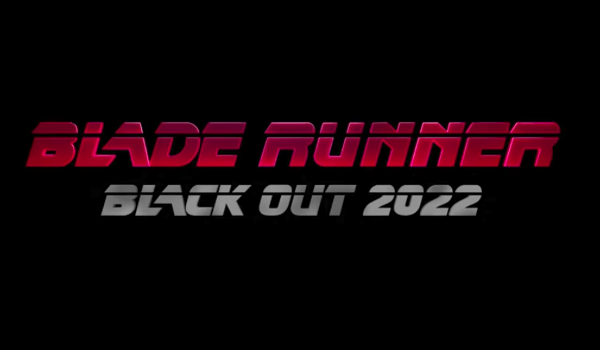 Directed by Cowboy Bebop and Samurai Champloo's Shinichiro Watanabe, Blade Runner Black Out 2022 is a new and highly-anticipated animated short which serves as a prologue for the upcoming feature film Blade Runner 2049. Thirty years after the events of the first film, a new blade runner, LAPD Officer K (Ryan Gosling), unearths a long-buried secret that has the potential to plunge what’s left of society into chaos. K’s discovery leads him on a quest to find Rick Deckard (Harrison Ford), a former LAPD blade runner who has been missing for 30 years. From executive producer Ridley Scott and director Denis Villeneuve, #BladeRunner2049 stars Ryan Gosling, Harrison Ford, Ana De Armas, MacKenzie Davis, Sylvia Hoeks, Lennie James, Carla Juri, Robin Wright, Dave Bautista and Jared Leto.